Alexander Zverev has enjoyed plenty of success in Germany, winning back-to-back titles in Munich at the BMW Open by FWU. So it was no surprise that he performed well for a home crowd on Friday in the Davis Cup Qualifiers Round. The reigning Nitto ATP Finals champion gave Germany a 2-0 lead over Hungary with an emphatic 6-2, 6-2 win against Peter Nagy. Zverev struck 11 aces and did not face break point to triumph in just 69 minutes. His veteran compatriot, Philipp Kohlschreiber, did not have his rubber anywhere near as easy. But Kohlschreiber pulled through nonetheless, battling past Zsombor Piros 6-7(6), 7-5, 6-4 in two hours and 39 minutes. The 35-year-old saved seven of the 10 break points he faced in his 17th Davis Cup win. Denis Shapovalov and Martin Klizan both earned wins for their respective nations to head into Saturday locked at 1-1 in Bratislava, Slovakia. The Canadian, Shapovalov, who reached the Australian Open’s third round last month (l. to Djokovic), gave the visiting side a 1-0 lead with a 6-4, 7-5 victory against Filip Horansky in 49 minutes. Home favourite Martin Klizan soon levelled the tie though, beating #NextGenATP Canadian Felix Auger-Aliassime 7-5, 6-3. Klizan converted five of 10 break points en route to a one-hour, 36-minute victory. Jiri Vesely and Robin Haase both emerged victorious in a tight opening day in Ostrava, Czech Republic. Vesely got the home nation off to a winning start, recovering from a set down to beat Tallon Griekspoor 5-7, 6-4, 6-4, before Robin Haase grabbed the second rubber for the visiting Dutch after just 67 minutes. Haase won 90 per cent of first-serve points (27/30) and did not face a break point en route to a 6-2, 6-4 win over Lukas Rosol in 67 minutes. Chilean Nicolas Jarry and Austrian Dennis Novak ensured the tie went into Saturday’s third rubber level at 1-1. Currently ranked No. 41 in the ATP Rankings, Jarry earned the first point in Salzburg, Austria, edging Jurij Rodionov 7-5, 7-5. But Novak found the perfect response for the home team, levelling the qualifiers round tie with a 6-4, 6-4 win over Christian Garin. It may be Super Bowl Sunday this weekend in Atlanta. But the staff of the Miami Open presented by Itau is hard at work at another football location, as the ATP Masters 1000 tournament relocates from Key Biscayne to Hard Rock Stadium, the home of the NFL’s Miami Dolphins. 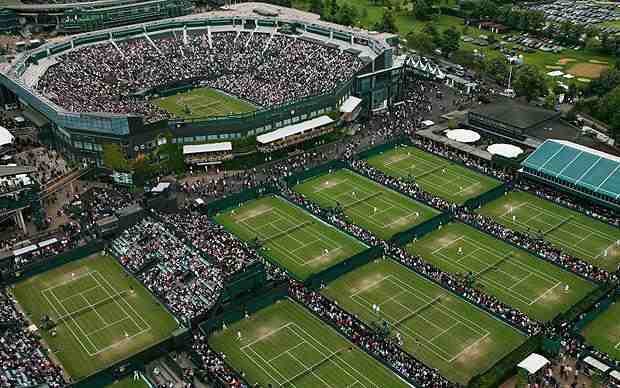 The new venue has a total of 12 tournament courts and 18 practice courts. The new Centre Court, built inside the Dolphins’ stadium, will hold 14,000 fans. There will also be a Grandstand outside of the stadium. 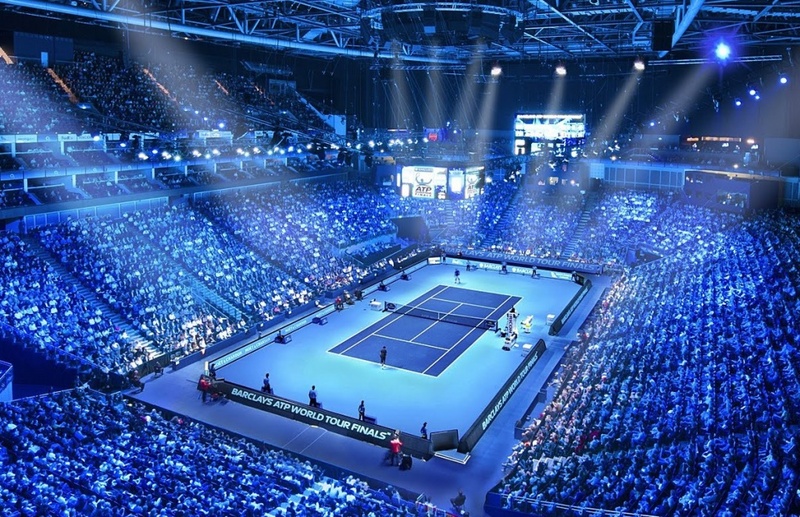 Fans and players alike will be able to look up at a giant video board, which the tournament touts as the biggest in tennis. While reigning Nitto ATP Finals champion Alexander Zverev enjoyed competing in Key Biscayne, where he reached the final in 2018, the German is excited for what moving to Hard Rock Stadium will do to make the Masters 1000 tournament even better. American John Isner is the tournament’s defending champion. The Miami Open presented by Itau is set to take place from 20-31 March. 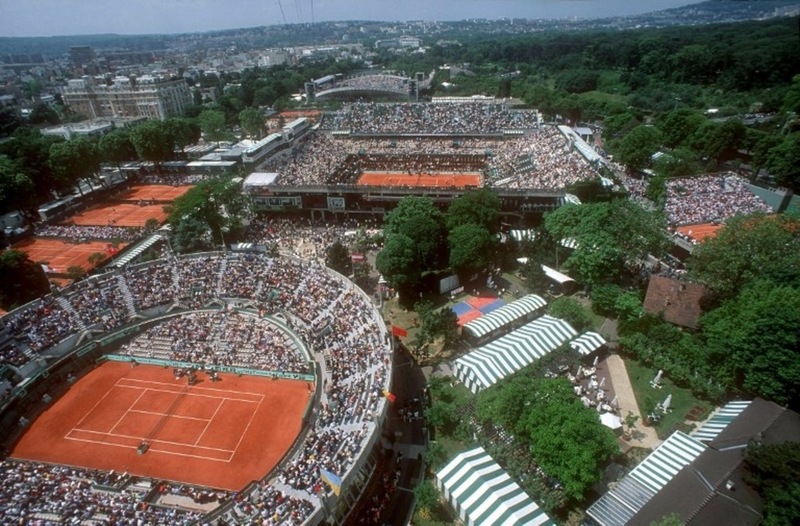 Before 1991, statistics were not kept in tennis so players, coaches and fans had no other choice but to fill the gap with opinion and guess work. From 1991 to 2002, the statistics were simple, but in the last handful of years the data has become a lot richer in content. 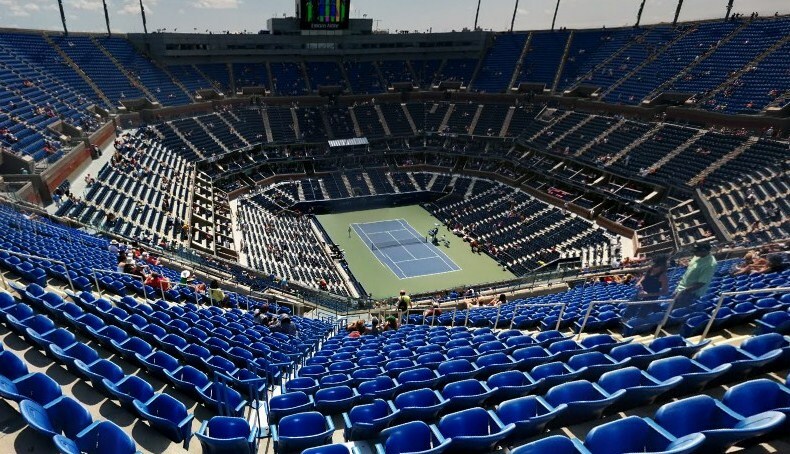 Tennis statistics have matured past simply counting something because it can be counted. The focus has turned to better understanding how our sport is organised, and what matters most to winning tennis matches. Know what happens. Know why you won. 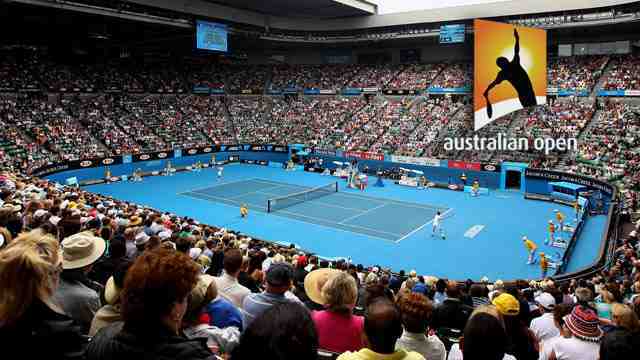 An Infosys ATP deep dive into the past five Australian Opens shows that the organisation of our sport is drifting towards shorter points because that is naturally where the main difference between winning and losing lives. The table above identifies just how our sport is organised. Longer rallies are becoming slightly less prevalent. It’s a wake-up call for practice courts all over the world, where consistency and shot tolerance of forehands and backhands are revered much more than the specific work of serves and returns. It makes no sense to practise something 90 per cent of the time (extended rallies) when it only appears 10 per cent of the time (9+ shot rallies) in a match. It’s jaw dropping to know that seven points out of 10 in our sport require a player to touch the ball a maximum of just two times. With one of these two shots guaranteed to be a serve or return, shouldn’t they receive maximum attention on the practice court? Every match begins as a 50-50 battle, but when you analyse where the match winners outperformed the match losers, it’s clear to see where they found their separation — significantly more in shorter rallies than long ones. Players who won their matches correspondingly won more points than the match losers 85 per cent of the time in the 0-4 shot rally length, which was significantly more than in either of the other two rally lengths. Only 33 per cent of the time did the match winner win more points than the match loser in all three rally lengths. True to the data, Novak Djokovic crafted his advantage much more in the shorter rallies than the longer ones to win the 2019 Australian Open title. Djokovic won 112 more points than he lost in the 0-4 rally length, which was more of an advantage than the other two rally lengths combined (+90). Djokovic won 202 more points than he lost (687 to 484), with 55 per cent of the 202 point advantage (112) crafted in the 0-4 shot rally length. It’s easy to remember Djokovic’s more spectacular longer rallies from the tournament, but he gained maximum separation from his opponents when he touched the ball just a maximum of two times. It’s clear to see that match data will create a paradigm shift with how we evaluate what actually happens in a match. This new learning will heavily influence the practice court where more focus will be given to the serve, return, serve +1 and return +1 shots rather than simply hitting forehands and backhands cross court ad infinitum. Alex de Minaur and John Millman both claimed their first Davis Cup victories to give Australia a 2-0 lead in its Davis Cup qualifying round tie against Bosnia and Herzegovina on Friday. Bidding to reach the 2019 Davis Cup Finals, to be held 18-24 November in Madrid, Millman won 70 per cent of first-serve points (21/30) to defeat Damir Dzumhur 6-3, 6-2, before De Minaur doubled Australia’s advantage after 87 minutes, beating Mirza Basic 6-3, 7-6(0). On Saturday, John Peers and Jordan Thompson will have the opportunity to confirm Australia’s spot in Madrid when they meet Mirza Basic and Tomislav Brkic. Peers will be making his first appearance since reaching the Australian Open doubles final alongside Henri Kontinen (l. to Herbert/Mahut) last month. Italy made a strong start to its Davis Cup qualifying round tie against India, earning a 2-0 lead following straight-sets wins for Andreas Seppi and Matteo Berrettini. Seppi fired 23 winners to defeat 2018 Newport finalist Ramkumar Ramanathan 6-4, 6-2, while Berrettini needed just 57 minutes to beat Prajnesh Gunneswaran 6-4, 6-3. Simone Bolelli and Marco Cecchinato can confirm Italy’s place in Madrid with victory over Pune champions Rohan Bopanna and Divij Sharan on Saturday. Dusan Lajovic and Filip Krajinovic handed Serbia a 2-0 advantage heading into Saturday in Tashkent. Lajovic dropped only nine points behind his first serve (36/45) to defeat Sanjar Fayziev 7-6(4), 6-3, before Krajinovic converted each of his three break-point chances to beat Denis Istomin 6-2, 6-4 in 61 minutes. Nikola Milojevic and Viktor Troicki can clinch victory for the visiting nation when they face Fayziev and Istomin in the third rubber doubles match on Saturday. China and Japan will head into Saturday tied at 1-1 after splitting the opening two singles rubbers in Guangzhou on Friday. Zhe Li earned China a 1-0 lead, beating Yoshihito Nishioka 6-3, 6-2 after one hour and 32 minutes, before Taro Daniel levelled the tie after overcoming Ze Zhang 7-6(3), 6-4.